« Brent back in Court in November. News round-up from the Network – Community Knowledge Hub. Organisation set up to help volunteers take over under-threat libraries lists achievements so far. Currently working with groups in Warwickshire, Buckinghamshire, Leeds and Wakefield. Northern Ireland – 8 out of 10 libraries threatened reprieved. Moneymore and Moy will close. Five others will need to get new buildings or close. Surrey – 10 libraries confirmed as volunteer-run. 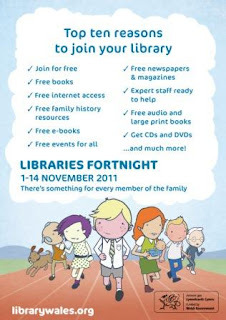 Volunteer group: Friends of Stoneleigh Library. Warwickshire – Bidford, Henley and Kineton will be volunteer-run with parish council support. Campaigners vow to fight on over Bolton libraries decision – Bolton News. “…following an emotionally-charged meeting of the full council, they have refused to concede defeat and vowed to continue the fight.” … ““Closing libraries in the heart of our communities is the wrong choice. Axe confirmed for five Bolton libraries – BookSeller. “As you may now know we have been granted leave to appeal the decision of Justice Ousley. the appeal is due to be heard in about three weeks. In the meantime Brent is not able to board up our library or remove any of the books. They have done this to some of the other libraries and it is truly shocking for the people in those communities to see such sights. Our campaign is certainly not over although we welcome the respite from standing outside the library in the freezing cold. Our community has responded magnificently and made sure we have been fed and watered throughout the day and night, with one supporter stting his alarm for 3am to make sure we had hot drinks. We cannot thank our community enough for the support they have shown. We also really appreciated the brilliant messages of support from others, heartening indeed. We will be at the library conference on Saturday and can perhaps thank peple in person. Regards, best wishes and thanks, Margaret Bailey, Co-Chair” Brent campaign. “I understand the strong opposition to library closures, but Brent’s library programme was not a knee-jerk money-saving reaction to budgetary cuts but a well thought-out policy based on visitor numbers and the state of the buildings. Most people living in Brent still have a library no more than a mile and a half from their homes and they will now be able to visit them seven days a week and enjoy more books (traditional and electronic), better internet access and regular cultural and family events when they get there.” Cllr James Powney, Brent – Why libraries are closing (Independent) Alternative would otherwise be “genteel decline”. 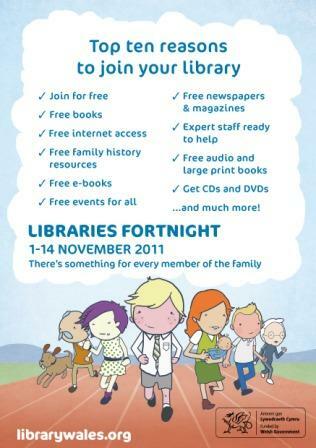 Bracknell Forest – Birch hill Library hits record borrowing – Get Bracknell. “It was a 1970s’ library in huge need of modernisation. We have managed to get a much better layout and have had several hundred pounds worth of new books.”… “August was the Leppington library’s busiest month ever, with 2,975 visitors and 4,092 books issued – up from 2,458 visitors and 3,467 issues for the same month this year.”. Summer Reading Challenge alos successful. Dorset – Colehill residents asked if they would pay to save library – Bournemouth Echo. “Colehill Parish Council Deputy Chairman, Councillor Susan Davies, said: “Working that out with the number of households, which is about 3,000, it would mean an annual increase in precept per household of around about £3.50.” – Parish Council asking voters if they would be willing to pay more. Surrey – Bid to block volunteer-led libraries fails by one vote – Epson Guardian. Councillor had to leave vote early for urgent hospital appointment or jobs would have been saved. “”I just feel so sorry that all these volunteers are doing it with a gun to their head, knowing that their libraries will close if they are not there to run them.”. 2 Conservative councillors “felt strongly enough” to vote against the party line. The self-confessed book and tree lover told the Times the council was getting it all wrong, saying more money, not less, should be spent on public libraries. “`What you are describing is a local authority who hasn’t got much money,” he said. “But a city needs the basics to make civilisation work.”.The controversial designer, whose television work included a series about urban blight and regeneration, said the city must focus on the “fundamental principal of sharing” to work. “And libraries, of course, represent one of the most civilised forms of sharing,” he said. Kevin McCloud (Grand Designs) on library cuts in New Zealand. Print article This entry was posted by Ian Anstice on October 20, 2011 at 10:12 pm, and is filed under Uncategorized. Follow any responses to this post through RSS 2.0. You can skip to the end and leave a response. Pinging is currently not allowed.